The Pharmacy Technician Certification Board (PTCB®) brings you a calculations practice test comprised of questions used on previous PTCE® examinations. 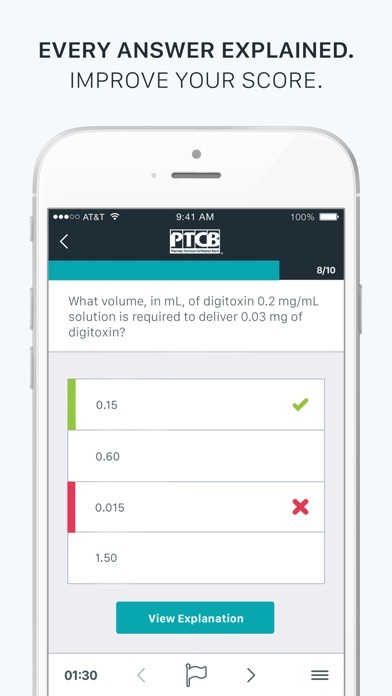 The app contains over 125 questions with detailed answer explanations which allow you to test your understanding of calculations and conversions commonly found on the real PTCE®. 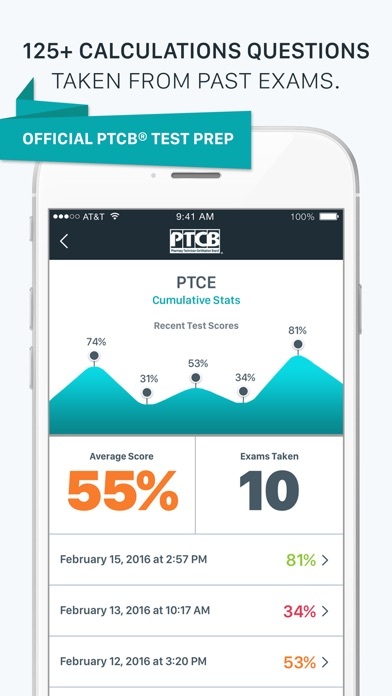 Have you ever wondered how difficult an exam question is to real PTCE test takers? 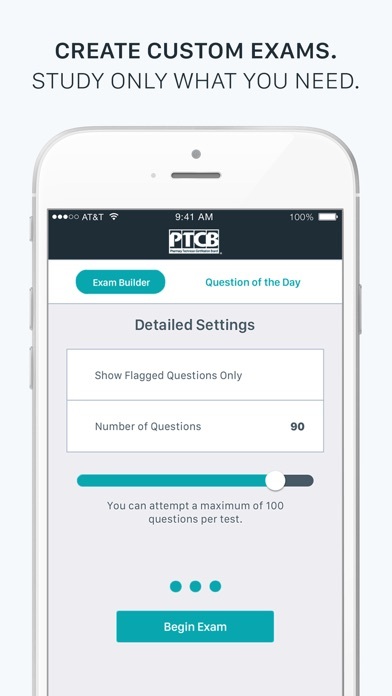 The PTCB Calculations Questions app now provides the difficulty level for each practice question. Questions belong to one of three difficulty categories: Easy, Medium, or Hard. After you answer a question you’ll see its difficulty level in the explanation section. 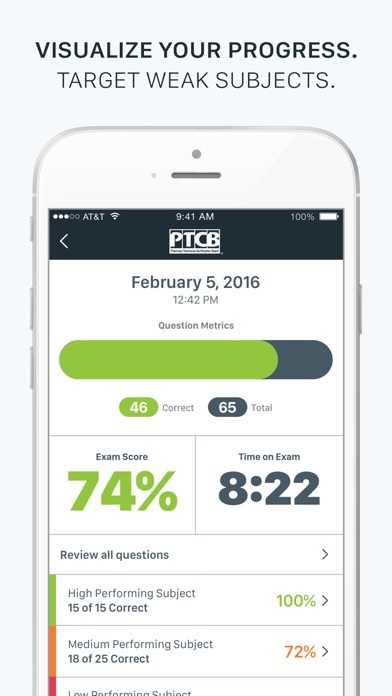 View your progress, track your history, and study on the go with the official test prep app of the PTCB®. Free with download: - 10 practice questions - Limited Question of the Day access - Helpful test-taking information Upgrade to premium to get: - 125+ practice questions - Endless Question of the Day access - Two practice modes: simulation and study - Detailed results analysis - Intuitive navigation Premium access is a one-time payment that never expires. It is not a subscription. Disclaimer: Difficulty levels were determined by the performance of past PTCE test takers from various test administrations. 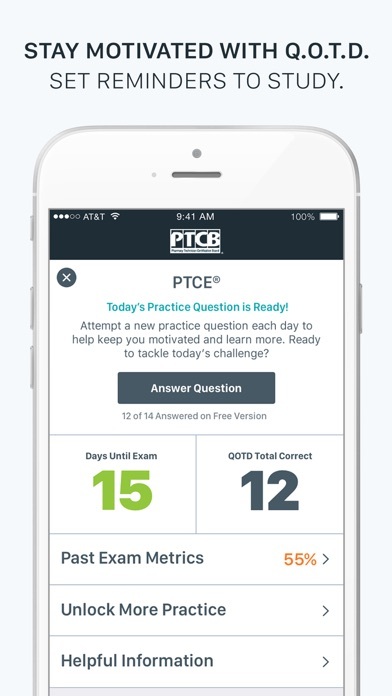 The skills and abilities of those test takers are not intended to illustrate or predict app users’ performance on the PTCE calculations questions.